Conveniently located on SW Durham Road in Tigard, ATI Physical Therapy is the premier choice for personalized physical therapy in a friendly and encouraging environment. Known for exceptional results and an upbeat atmosphere, ATI Physical Therapy provides physical therapy and sports medicine. A south Texas native, Jason has now been practicing as a physical therapist in the Northwest for more than 6 years. He received his Bachelor of Science degree in Health Sciences from Baylor University and earned his Doctor of Physical Therapy degree from Southwest Baptist University. 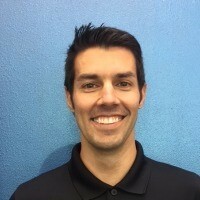 Jason has practiced exclusively in outpatient orthopedic settings where he has developed an approach to treatment that combines early manual therapies with corrective exercise and activity-specific strengthening. He has special interests in the management of upper extremity injuries, postoperative rehabilitation, and working with the cycling population. Jason's passions in physical therapy mirror his own athletic background and personal interest in cycling, baseball, tennis, and endurance athletics. Outside of the clinic, he enjoys all things outdoors and can be found rock climbing, cycling, or snowboarding. 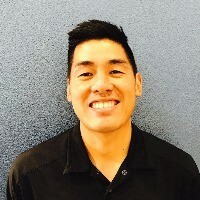 Born in Thailand and raised in California, Max returned to the Pacific Northwest after completing his studies in Human Physiology at the University of Oregon and at the University of Connecticut. His passion for physical therapy began when Max was injured at a younger age. He went through extensive rehabilitation to return to his sport, and during that time, he learned a lot about his own body and the process. Max’s focus is in general orthopedics and sports medicine, with experience in soccer, basketball, golf, tennis, and cycling. 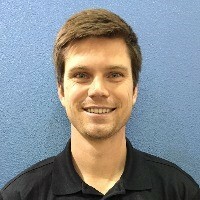 He combines his manual therapy skills and knowledge of exercise in order to help restore optimal function and maximize athletic potential. When not at work, Max enjoys mountain biking, hiking, and playing with his dog Piston. He also has a knack for cooking and home brewing. Katie received her Doctor of Physical Therapy degree in 2015 from Rosalind Franklin University of Medicine and Science. Her clinical experience includes treating patients with a wide variety of musculoskeletal disorders. She also has worked with patients who have gait and balance impairments after stroke, benign paroxysmal positional vertigo (BPPV), multiple sclerosis, and Parkinson’s disease. 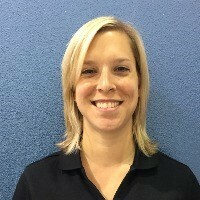 Katie’s passion is helping patients of all fitness levels achieve their functional goals through physical therapy and return to doing the things they love to do. She is excited about expanding her career in the beautiful state of Oregon. Outside of work, Katie enjoys running, hiking, and spending quality time with her husband and infant daughter. A Chicago native and University of Michigan alum, she also loves reliving the Cubs World Series win and watching Michigan football and basketball. Jonathan was born in Singapore on a mission trip, then moved to the states when he 4 years old. He claims North Carolina as his home state and moved to Oregon in high school. Jonathan earned his undergraduate degree from Walla Walla University, before attending physical therapy school at Andrews University, where he graduated in 2016. He grew up playing sports and played soccer for Walla Walla University and club hockey for Andrews University. Jonathan enjoys working with all patient populations but feels a real connection with other athletes. His approach includes manual therapy, sports-specific training, education, and strength-training to return patients to their prior levels of function. Jonathan enjoys city league hockey and soccer, hiking with his dog Niko, snowboarding, golfing, watching the Carolina Panthers, spending time with friends, and going on as many adventures as he can. 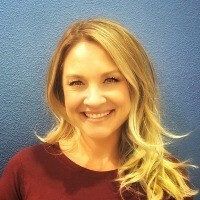 Eryn is a Portland native who graduated from the University of Oregon in 2006 with a Bachelor of Science degree in Anthropology. After serving in the United States Peace Corps, she went on to earn her Doctor of Physical Therapy degree from Pacific University in 2014. With a passion for pelvic health, she accomplished her goal of becoming a board certified Pelvic Rehabilitation Practitioner in 2016. Eryn treats both women’s and men’s health conditions. Sarah is currently attending George Fox University. 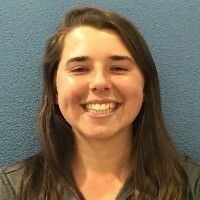 She is an eager undergraduate, studying both exercise science and cognitive science. At Fox, Sarah has competed as a collegiate golfer on a nationally ranked team—Go Bruins! She is excited to apply to physical therapy school soon, but in the meantime, Sarah enjoys learning from her wise colleagues and meeting new patients. In her free time, she enjoys hiking, playing the guitar, and golfing. From injury education and prevention, to conditioning and rehabilitation, ATI provides on-site athletic training services to schools and clubs in Tigard. We are experts in preventing, evaluating, treating and rehabilitating injuries, and will coordinate care with your physician, parents and school/club officials to get you back in the game. Visit your local Tigard ATI to learn more. To request a complimentary screening, call (503) 937-0090 or visit your local Tigard ATI within 24-48 hours to schedule your first appointment. Our clinicians will develop a custom treatment plan that addresses pain, gets you moving and lowers the chance for future injuries. Plus, we’ll make it fun along the way. ATI accepts virtually all major insurance carriers and will verify insurance for you. Achieving international recognition for its outcomes in workers’ compensation rehabilitation, ATI offers innovative solutions that deliver efficiencies and high levels of satisfaction. We have a simple referral process and performance-based methodology to help increase strength, endurance and cardiovascular function with the goal of returning you back to work. Visit your local Tigard ATI to learn more.